WAS $32. 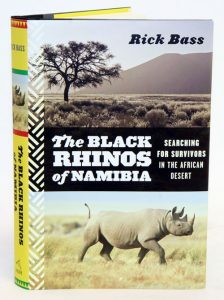 Follow Bass on his far-flung adventure in southwest Africa on the trail of a fascinating and vulnerable species. Driven to the brink of extinction by poaching and war, human intervention and cutting-edge conservation has saved the black rhinos, for now. Against the backdrop of one of the most ancient and harshest terrains on earth, Bass, with his characteristic insight and grace, probes the complex relationship between humans and nature and meditates on our role as both destroyer and saviour. 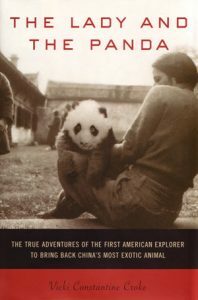 The lady and the Panda: the true adventures of the first American explorer to bring back China’s most exotic animal. WAS $50. The true story of Ruth Harkness, a bohemian socialite and dress designer who in 1936 took over her dead husband’s expedition into Tibet to capture the first live Giant panda. Marine mammals of the North Atlantic. WAS $82.50. Despite strong public interest in marine mammals and the incredible popularity of whale watching, particularly in the North Atlantic, many marine mammal populations remain little known. This fully illustrated book is a comprehensive and attractive guide to the marine mammals of the North Atlantic – and the only guide to cover all fifty-one species found there. It offers whale watchers and other marine mammal enthusiasts the means to identify the region’s seals, manatees, walrus, and polar bear in addition to its forty species of whales, dolphins, and porpoises. 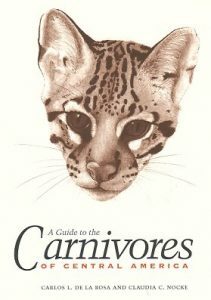 Distribution maps for each species complement the 250 striking color illustrations. 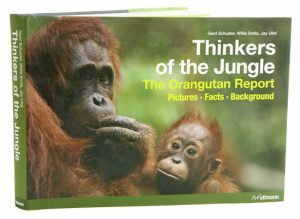 The straightforward text emphasizes diagnostic features but also covers the behavior, reproduction, feeding, habitat, and migration of these intrinsically fascinating animals. In the process, the book sorts out marine mammal taxonomy, answering such questions as how dolphins and porpoises differ and whether killer whales are really dolphins or whales. As a guide, this book will be invaluable to boaters, divers, shore dwellers, and all who venture into or on North Atlantic water., It will also interest aquarium visitors and anyone who has ever wanted to see a pod of whales, school of dolphins, or society of porpoises in action. It illustrates and depicts the diagnostic features of all 51 marine mammal species occurring in the North Atlantic. It gives full coverage to not only whales, dolphins, and porpoises but also seals, manatees, the walrus, and the polar bear. 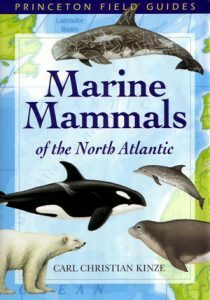 It features 250 color illustrations contains distribution maps for each species and provides information on behavior, reproduction, and feeding for each species describes the North Atlantic as a habitat for marine mammals features concise text written by a top expert. WAS $85. 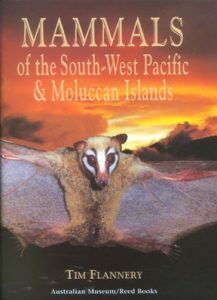 This book covers 230 indigenous species of mammals, which have been located on over 250 islands. There are species accounts, focusing on living native species, with introduced and prehistorically extinct species dealt with separately.